World-famous harmonica player Mike Stevens was struck by the plight of young people in isolated Inuit communities during his first visit in 2000. With limited options for social activities and a lack of promising career opportunities, the youth of the Arctic region of Canada too often fall prey to harmful lifestyles and self-destructive behavior. 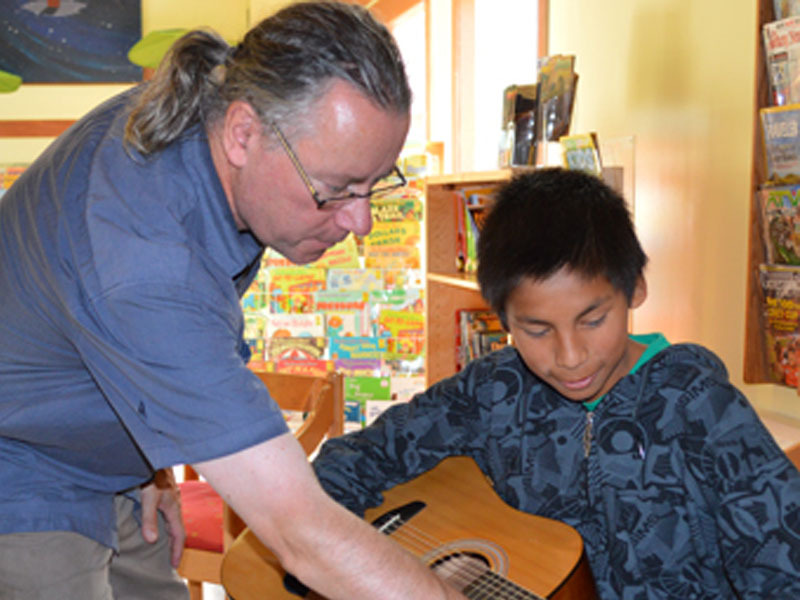 Through AKP-supported arts workshops, Mike and his team bring musical instruments and art supplies to these communities and teach at-risk youth how to express themselves through the arts, in the process exposing young people to ways they can change their lives. 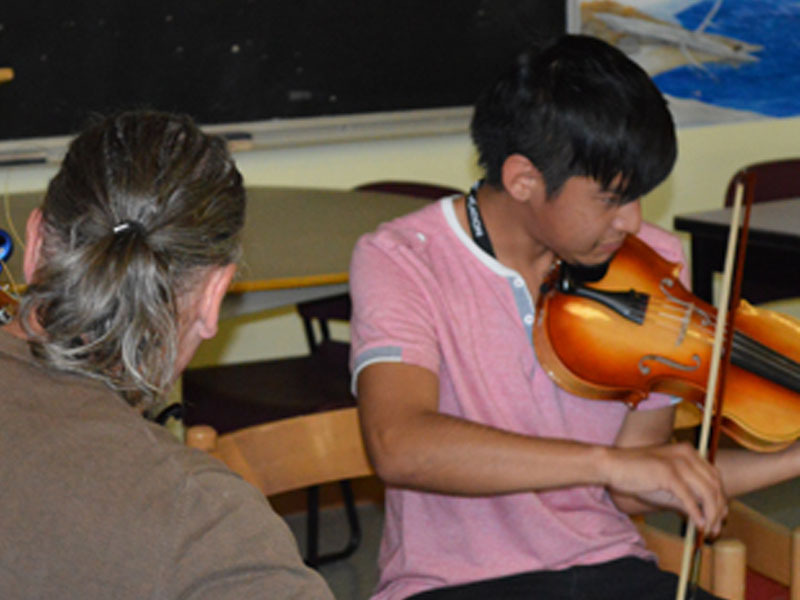 While in Canada’s Arctic region join an arts workshop and witness young Inuit students discover, and learn to express, their passion for music. Guests traveling on The Northwest Passage: From Greenland to the Bering Sea have the opportunity to meet Mike Stevens and learn more about the arts program. A&K can also include a visit to an Inuit Youth Arts Workshop on a Tailor Made Journey to Canada. Contact our offices in Australia, the UK or the USA for assistance in creating an itinerary just for you.